"Loved the energy!! Really good!" "I found this workshop very useful in my practice." "In my busy day I was drawn to the title of this article [“Is your organization morphing you into a ‘qualicrat’?”], and missed a little of the introduction. I had expected to do a quick scan, but the format was deceptively simple and I had to start thinking about where I had been headed, where I am, what changes would be easy or hard. The content was great. It was when I decided to print that I noticed Davis' picture. Of course! One of the most practical, cogent, and engaging speakers and writers in the field did it again. Thanks, Davis." 1. Could you please show me the data (or describe an actual situation) that are making you ask me this question? 2. Please tell me why this situation is important. 3. Please show me a run chart of these data plotted over time. 4. What ultimate actions would you like to take with these data? 5a. Who cares whether the limits are correct or not? When you supply me with the answers to questions 1 and 2, then we can begin a dialogue, during the course of which I would be happy to answer your question about limits. Ready for a blinding flash of the obvious? The time to recompute the limits for your charts comes when, in your best judgment, they no longer adequately reflect your experience with the process. There are no hard and fast rules. It is mostly a matter of deep thought analyzing the way the process behaves, the way the data are collected, and the chart’s purpose. If the process has shifted to a new location, and you don’t think there will be a change in its common-cause variability, then you could use the former measure of variation in conjunction with the new measure of location to obtain temporarily useful limits. Meanwhile, it would probably be a good idea to keep track of the moving range on an MR-chart to note any obvious changes. There is no denying that you will need to ponder the issue of recalculating the limits. With today’s computers, as mentioned below, it’s less of an issue; however, it still requires good judgment. 1. Do the limits need to be revised for you to take the proper action on the process? 2. Do the limits need to be revised to adequately reflect the voice of the process? 3. Were the current limits computed using the proper formulas? 1. Do the data display a distinctly different kind of behavior than in the past? 2. Is the reason for this change in behavior known? 3. Is the new process behavior desirable? 4. Is it intended and expected that the new behavior will continue? If the answer to all four questions is yes, then it is appropriate to revise the limits based on data collected since the change in the process. If the answer to question 1 is no, then there should be no need for new limits. If the answer to question 2 is no, then you should look for the special cause instead of tinkering with the limits. If the answer to question 3 is no, then why aren’t you working to remove the detrimental special cause instead of tinkering with the limits? If the answer to question 4 is no, then you should again be looking for the special cause instead of tinkering with the limits. The objective is to discover what the process can do or can be made to do. The limits do begin to solidify when 15 to 20 individual values are used in the computation. 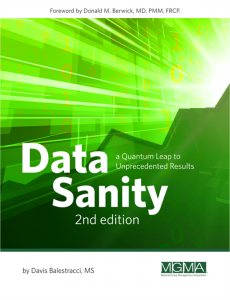 To argue semantics, when fewer data are available, the limits can be considered “temporary limits,” subject to revision as additional data become available. When more than 50 datum are used in computing limits, there will be little point to further revise the limits. So stop getting sucked into the swamp of calculation minutiae. Instead, spend all that energy using your charts to understand and improve your processes. And the first time you say, “It depends” in answer to someone’s question, let me know, and we’ll both smile.